Considering its price, Tata Tiago is quite feature-laden. In terms of safety features, the hatch is offered with ABS with EBD and corner stability control, along with many other features even in the base variant. Tiago is very efficient and powerful. More Tata cars with ABS. 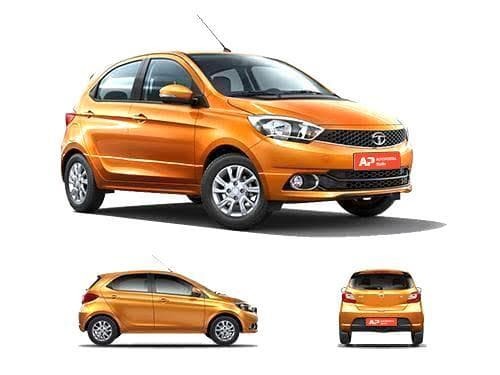 The variants of Tata Tiago that offer abs as standard include JTP, Revotorq XB, Revotorq XE, Revotorq XE(O), Revotorq XM, Revotorq XM(O), Revotorq XT, Revotorq XT(O), Revotorq XZ, Revotorq XZ Plus, Revotorq XZ Plus Dual Tone, Revotorq XZ w/o Alloy, Revotron XB, Revotron XE, Revotron XE(O), Revotron XM, Revotron XM(O), Revotron XT, Revotron XT(O), Revotron XTA, Revotron XZ, Revotron XZ AMT, Revotron XZ Plus, Revotron XZ Plus Dual Tone, Revotron XZ w/o Alloy, Wizz Edition Diesel, Wizz Edition Petrol.